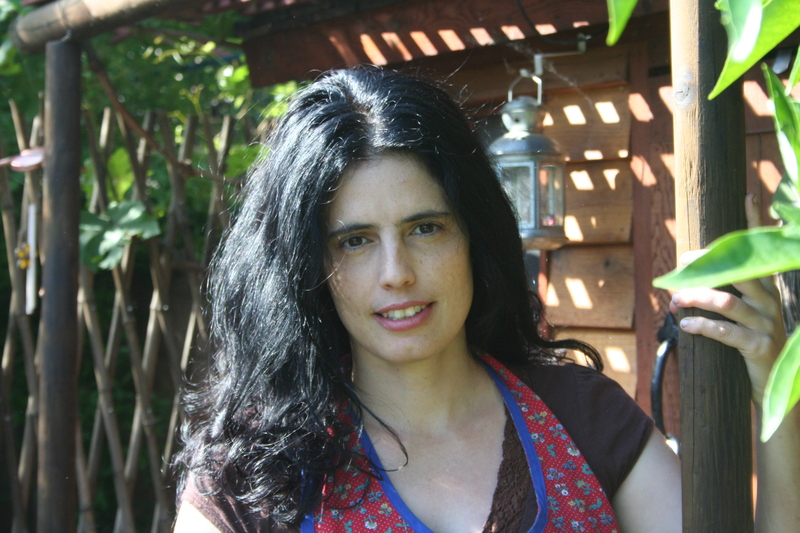 Anais Dervaes is the oldest of the home educated Dervaes children, a.k.a. Urban Homesteaders. After reading more than one article by her and her sister on femininity and counter-culture living, I simply had to know more about what it was like to be educated in their home. Obviously, running an urban homestead is quite time-consuming. I am so grateful that Anais has taken time from her busy schedule to share with us her unique story. One of my earliest recollections of homeschooling was of sitting at the kitchen table in our mobile home in San Antonio, Florida. It was 1979. I was then five years old and would be the first of four children. Mom was a typical stay-at-home mother and Dad was self-employed. Both had college degrees, while Dad also had a teacher’s certificate. My father had seen firsthand the failings of the modern educational system and would risk doing what was simply unheard of at that time — educating his children at home. My very first lesson was the Genesis creation story from a textbook my parents had bought through the Seventh Day Adventist Church homeschooling program designed for their missionaries. Although we were not members of that denomination, my parents felt that the curriculum that program offered was the best available at the time because its emphasis was on the Bible and Christian values. In addition, one of our favorite reading materials was the old-fashioned, nineteenth century McGuffey Readers. 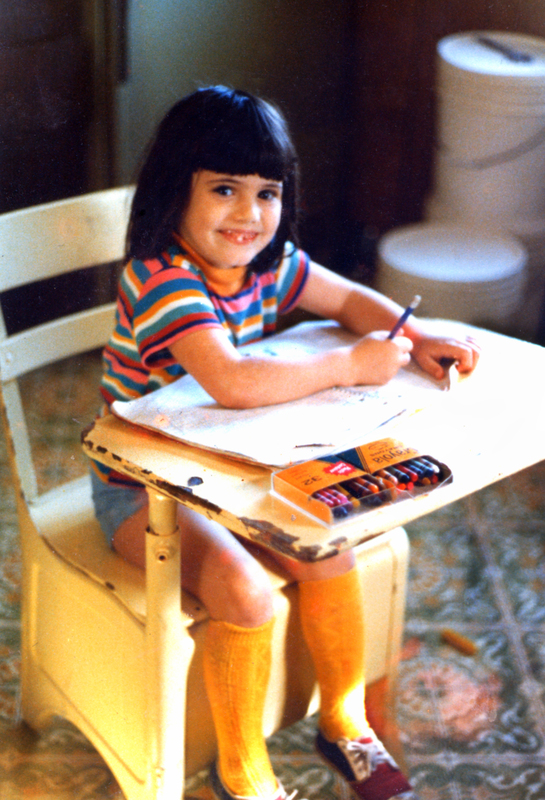 I remember the day my dad got me a real school desk to sit in. I was so thrilled and proud of that desk. I thought, “Now, I’m a real student!” Eventually, as my siblings joined in, we all casually sat at the kitchen table, like attending a one room schoolhouse with the older children teaching the younger . There, my mother taught the basics from textbooks five days a week from about 8 o’clock to 12 noon. After lunch, we found many different activities to keep ourselves occupied. Fortunately, outside our door were 10 acres of natural playground waiting for a curious child to explore. This wild Florida landscape offered an adventure-land full of inviting oak trees, jungle foliage, and ponds teaming with tadpoles and other critters. What more could a child ask for? We romped barefoot, building forts, eating juicy oranges from nearby groves, jumping off hay bales in the barn of our next door neighbor. We also had a swing set where we would often play “Olympics.” Our PE classes were definitely different from the ones at school. Education wasn’t confined just to the classroom but involved a life “school” where we learned by pitching in on family projects and chores. 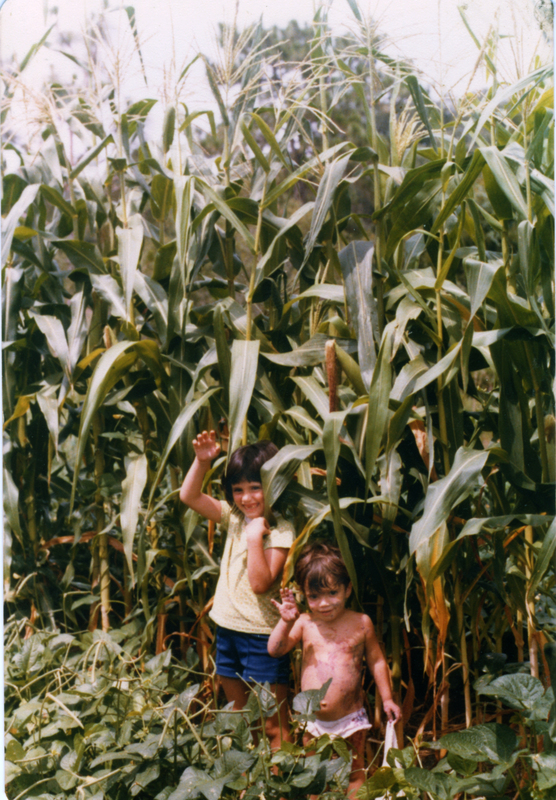 Some of my earlier “learning by doing” experiences involved planting a huge garden with my dad, building a worm farm, caring for our goat, harvesting honey from Dad’s hives or helping Mom with hanging up clothes and other household chores. A weekly treat was visiting the small town public library where we’d come out with armfuls of books. Weekends were for going to church and socializing with friends and family. On Saturday mornings, we’d drive 45 minutes to church where our family would spend the entire day, returning home in the wee hours of the night. The learning continued in church, where we attended Youth Bible Class. What I looked forward to the most was singing in the children’s choir. I loved music and at home I’d continue to belt out hymns and sing along to the radio and records. Sundays were often spent with my father’s parents. Early on, grandparents were a vital part in our education. We would go fishing with Grandpa in Tampa Bay or out with Grandma, swimming at the beach or in a friend’s pool. The best part of these days was enjoying Grandma’s wonderful home cooked meals and homemade desserts, which influenced my later passion for cooking and baking. The seeds of my homeschooling experience were sown during one of the most tumultuous times in our nation’s history. Our country had just gone to the moon, fought an unpopular war, and experienced a wave of assassinations. It was a violent time. During this period, my college-educated parents from middle class backgrounds were searching for a new life. They began exiting the mainstream freeway to pioneer a new path — one that was inspired by the writings of Wendell Berry, Helen and Scott Nearing, and the first issues of Mother Earth News magazine. This would include going back to the land and homeschooling, much to the chagrin of their families who followed a more traditional lifestyle. In early 1973, my parents had finally saved up enough money to make a new future for themselves. They made the extremely difficult decision to leave their jobs, their home and family and immigrate to the far away island of New Zealand. It was there, in Hokitika, that I was born in 1974 to “greenhorn” homesteading parents. They lived in a town so isolated that, when my parents moved there and I was born, we quadrupled the population. That’s where the simple life started. After a few years in New Zealand, my parents moved back to the States, settling on 10 acres of uncleared land in Florida. Being taught at home in the late 1970s and early 1980s was radically different from what it is today, now that homeschooling has become more commonplace. In those days, for novice homeschoolers there was practically no public support and hardly any outside resources. The school system was not sympathetic to the “underground” homeschooling movement. Homeschooling was more than unacceptable; it was, in fact, illegal. Soon after my parents started teaching at home, new laws were put into place and the state began to crack down on homeschooling. What had been accepted as “okay,” or rather, overlooked, was now being sought out and prosecuted. Up to this time, my parents, as college graduates, had possessed the necessary credentials to teach at home. Because my father was a certified teacher and had taught high school and college, our homeschooling curriculum had been accepted. Now, however, my family was informed that, unless we were part of a registered charter school, they would risk losing their children. Of course, this new development did nothing to assuage my grandparents’ anxiety. They already worried about what would become of our educational prospects and whether we were deprived of the opportunity to develop social skills. With no outside support groups and under such trying circumstances, a severe strain was placed on my parents – even we children were feeling it. This was one path they had to travel alone through uncharted territory. In 1984, after nine years of homesteading in Florida, our family of six moved to a fixer-upper home in Pasadena, California, where my father attended a theology college. Homeschooling was also illegal in California; but, in an urban environment, the challenges of home education were even greater. In Florida, we had room to roam and were, for the most part, ignored. But here in the city, there were neighbors all around us. We couldn’t go anywhere without folks wondering why we weren’t in school. To avoid raising suspicions during school hours, we stayed indoors until 3 pm. If we did go outside, we had to be very quiet; that certainly was a challenge for us country kids. However, even then the neighbors would ask which school we attended; so we created a proper name for our home school. The stress of a new environment added extra anxiety that put pressure on our entire family. With many frowning on homeschooling and with increasing opposition, I started to believe that I was missing out. Perhaps I was “dumb” or not as educated as my peers. When I was 12, with an opportunity of formal education, my parents sent me to a private church school. However, it became clear there that I had not been missing out on fundamental academics; but, rather, I had been protected from cliques, pressure to be in fashion, and teasing. I only stayed one year in a normal classroom setting. 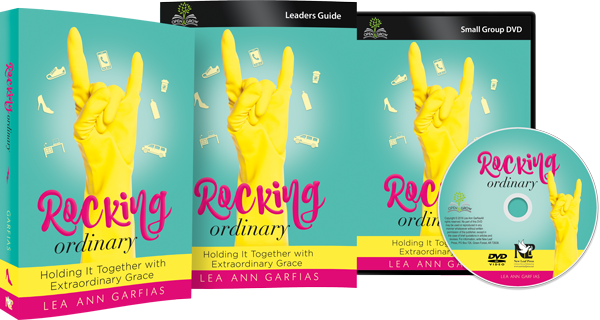 After a few years in Pasadena, our family went through a disruptive period, changing our circumstances and setting us onto a more radical path. With few resources at our disposal, we turned to the local library and public school depository for textbooks. As a result of the difficulties of obtaining books and learning materials in those pre-Internet days, our schooling became more unstructured. Academically, our education evolved to focus more on hands-on learning. My siblings and I dug into the wondrous world of “urban homesteading.” Along with growing our food, we acquired practical skills: for the girls — sewing, knitting, crocheting, candle and soap making, canning and other preservation methods; for the guys – leather work, home repairs, carpentry, car and bicycle repair. All of us learned survival skills that included making fires with a bow and drill; building solar ovens out of cardboard boxes and aluminum foil; “stalking the wild edibles”; and planning camping outings that took us to places like Yosemite, Sequoia, Bryce Canyon Arches, Grand Canyon and the once-in-a-lifetime seven day canoe trip down the Green River in Utah with nothing but bare essentials to sustain us. The home schooling environment freed me to pursue my passions. I honed my cooking skills and continued my love for gardening, especially flowers and herbs. After my father ripped up the front yard to plant edibles in the early 1990’s, we sowed wildflower seeds, which ultimately blossomed into the family’s edible flower (and now market garden) business. I also read many herbal books at the local library, making concoctions for any ailment that afflicted the family. We read and re-read several times the beloved ‘Little House On the Prairie” and “Little Britches” series. The librarian would often joke that we would read through the library within a few years. Later, dad brought a computer (pre-internet) and we would sit for hours playing educational games and quizzes. For us homeschooling pioneers, the scars of a hard journey remain. Though home education is more widely practiced and accepted today, my siblings and I still cringe before answering the question of where we went to school. The trauma from those “illegal” school days — the hiding and the fear of the possibility of being taken away — instilled a deep-seated insecurity that we’ll carry the rest of our lives. It wasn’t the homeschooling itself that affected us. Rather, the uninformed perceptions and fixed “labels,” as well as the disapproval from family members caused the insecurity we feel today. There are problems with homeschooling; it’s a difficult path which doesn’t work for everyone. Positive parental example needs to be seen, and both parents have to be on board, dedicated, for homeschooling to work. If the parents are not unified in their commitment to this endeavor, the children will feel that homeschooling is wrong and use that rift as an excuse for the education to fail. Providing a social life for children and being a part of a group will go far in helping with a child’s growth. Much of a child’s education happens outside the classroom, and encouraging children to relate face-to-face and non-electronically across all age groups contributes to their development. For me and my siblings, home education wasn’t easy. We each had to face our own (unpleasant) character flaws and problems. With our parents as our teachers, we couldn’t get away with much, and that caused rebellion and resistance to flare up. There were also drawbacks in being isolated because we weren’t able to access a full range of subjects like foreign languages, music and the arts. Can you share a part of your personality/character that homeschooling developed into a strength that may have otherwise been neglected or a weakness? For me and my siblings, we were pressured to believe that without formal education and a diploma or degree, we were inadequate. Through experiences, we discovered that this was totally inaccurate. For instance, we had an opportunity to work at a local tea shop. My sister and I, while hired as waitresses, ended up being given managerial duties. Because of our home education, we weren’t afraid to accept the challenge before us, taking initiative with a “can-do” attitude and doing what needed to be done. What some would consider a weakness was actually our strength. Home education has given me a chance to blossom in many areas for which I am truly grateful. Today, I am blessed to live and help out on my family’s one-fifth acre micro farm in Pasadena, Ca. Over the last twenty years, we’ve transformed our home into an urban homestead, where we continue to live off the land, raising citified farm animals and harvesting up to 6,000 pounds of organic fruits and vegetables. 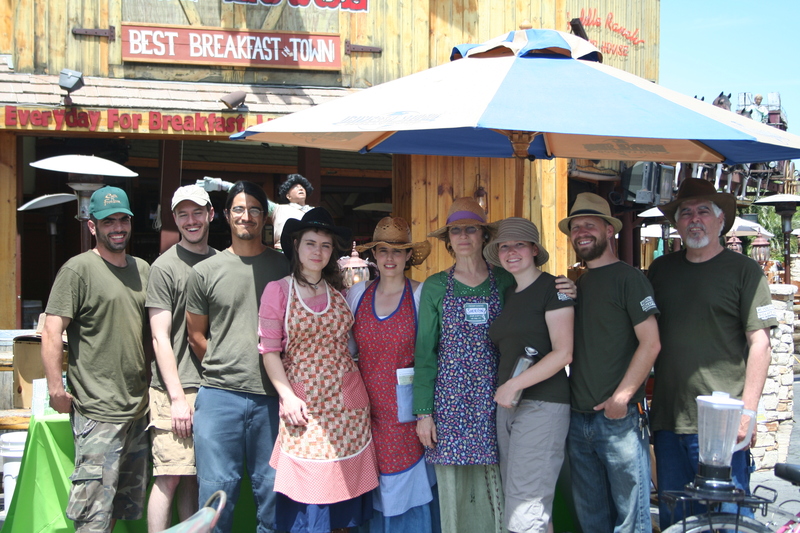 Through our sustainable journey (www.UrbanHomestead.org) and creation care ministry our network of sites serves as an inspiration for millions of people interested in starting their own urban homesteads and living a more simple life. If blessed with a family of my own, I would continue on the home education path, as I believe that such an education is beneficial for both child and parent. But, for now, I enjoy working around the urban homestead in aprons and bare feet where every day is another opportunity to learn and grow. 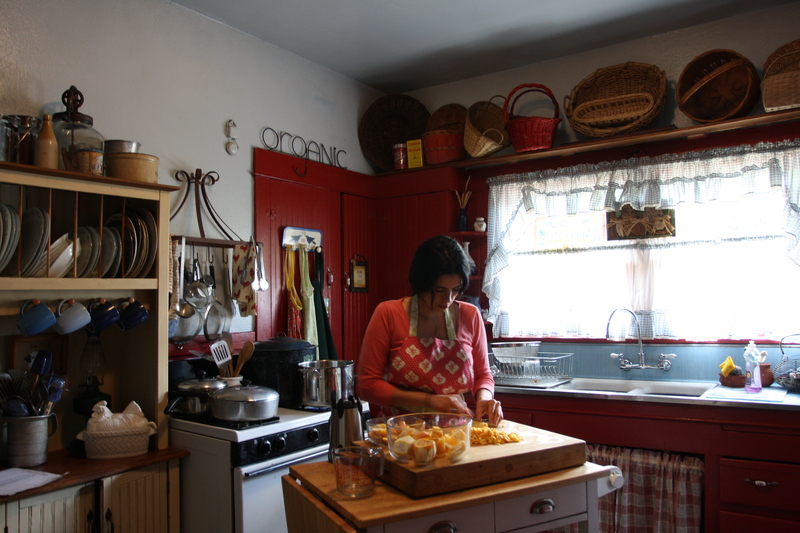 You can learn more about the Dervaes’ pionieering journey on their blog, Little Homestead in the City, or on the film Homegrown Revolution. Connect with them on gardening on Freedom Gardens , and discuss urban ranching on Barnyards and Backyards. Connect with the family on facebook, twitter, and YouTube. They would love to hear from you personally by email. Those in the Pasadena area will want to buy some organic bounty from Dervaes Gardens. Grow your own freedom garden with pure Freedom Seeds. 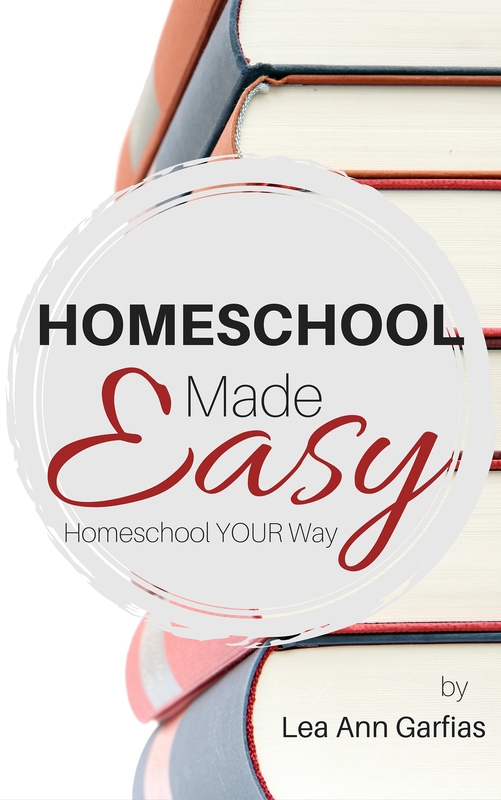 Get more homeschool help in my new book Homeschool Made Easy, now available on Kindle. Get your copy today! Wow. I really enjoyed reading this, Anais. Thank you so much for sharing this part of your life! I wasn’t homeschooled, but we’ve made the choice to homeschool our kids. It’s really neat to hear the stories and perspectives of homeschoolers all grown up:-). Thank you for your story Anais. I really enjoyed reading about your experience. I also love the picture of you and Jordan in the garden! Looks like both of you were having a great time. I meant Justin 🙂 oops! We are homeschooling our children as well…in Pennsylvania it is difficult, but it helps to have a husband that is a principal. It is really funny to find out how many teachers choose to keep their children out of the school system! What an incredible story! I’m glad that homeschooling has become an accepted form of education. It gives parents who really want to be involved in their children’s education the opportunity, and with so many resources now they receive an even better education. You are so right, Kate. 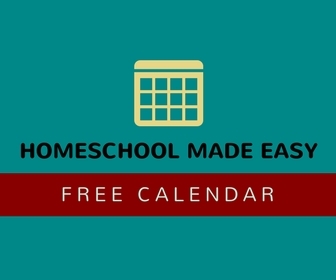 I am a second generation homeschooler myself, and it never ceases to amaze me the difference in our culture from when I was homeschooled and now, teaching my children in complete freedom. Since this “first generation” (so called b/c they achieved the home education freedom we enjoy today; obviously parents have been teaching their own since time began) achieved such amazing social, academic, and personal success while educating “underground” and with few reasources, can we even begin to imagine the fruit we will see from this “second gen” or 21st century home grads? You are a wonderful being with a wonderful family. Never ever feel inadequate in any way since what you’re doing and what you’ve been through is a journey most people in all parts of the world would try to emulate. More power and keep it up! ANAIS: Only recently learned about your family’s incredible journey; I was saddened about your father’s departure. I was born in 1946 in U.S. so I can relate to why your parents decided on their course. I wanted to tell you, Anais, and your siblings that you are making a difference because you live it, not talk about it, read about it, but live it. And you bring joy because many would love to experience what you do. My first professor in college was born in New Zealand, served in the Royal Air Force in WWII, and chair of psychology at Sheffield, UK. He was visiting professor in the New Mexico. I remember the day that he came to class, and stated he paid the price for living “in the ivory tower,” which meant in the world of academics to be cut off from the real world. Later, I learned from a graduate student (I was a freshmen) the professor had taken a trip in his Land Rover, and its engine blew up. He had never learned to check the oil in an auto; and he openly expressed his frustration. I mention this not to deride the good professor, but to point out that all of us–whether educated or not–have taken paths with twists and turns; some more than others with regrets. Your father stated it quite eloquently: the worthiness of his life will be determined by how his example will be carried forward by others. And it started with you, his first born. There is something extremely gratifying that comes from using our hands; and this is lacking in most of the educated classes; not all, but certainly a majority. There is a void and sterility, a disconnect with nature. Therefore literally thousands appreciate what the Dervaes have shown to the world. If you feel the need to catch up, for example, in languages never feel that you are not capable; besides, it is fun to babble like a child! Public libraries offer foreign language courses for free through their websites. Thank you very much for sharing your life with the rest of the world. You are totally awesome. P.S. Would love to bake in that Old World oven!